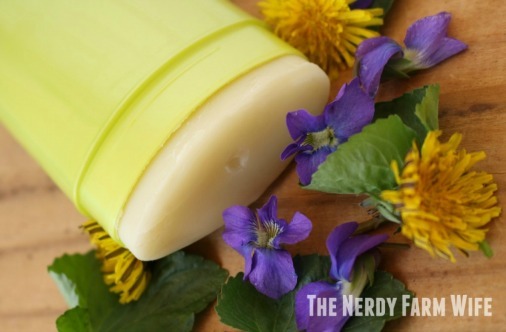 Jan created this recipe for a DIY herbal deodorant. It’s specifically designed for women and contains herbs that encourage lymph flow and help with inflamed or cystic breast tissue. Jan explains how to infuse oil with a number of different herbs that are used to promote healthy breasts. The recipe also uses an oil with antimicrobial properties, two ingredients that absorb moisture and odors, two ingredients that protect and nourish skin, beeswax and essential oils. There are very clear directions on how to mix the ingredients together and prepare the deodorant. Jan also explains how to apply the deodorant. Click on the DIY Herbal Deodorant for Women’s Health link below to see the complete recipe.